Tasmanian Tiger - The Thylacine went extinct due to over-hunting back in 1936. Is the Thylacine (Tasmanian Tiger) really extinct? 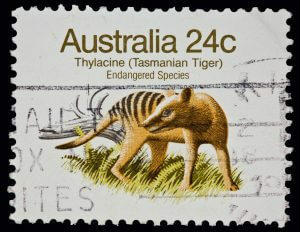 The Thylacine went extinct due to over-hunting back in 1936, but some Tasmanians believe that the Tasmanian Tiger still thrives in the wilds of the Natural State. They believe they are just very good at hiding and they have some provocative footage to prove it. But whether or not the tiger has left the planet, the Thylacine is an intriguing animal. A genetic mapping of the Thylacine was performed by the University of Melbourne using the remains of a juvenile Tasmanian Tiger. The results of the test are fascinating as the large cat-like creature is closely related to the mainland kangaroo despite its similarity to the dingo. The university researchers say that the dingo and Thylacine are similar genetically but are not related. It's a fine example of convergent evolution which takes place when two animals adapt to a similar environment over the same period of time. The traits of the two animals evolved to be similar without relation. One researcher even said that the Tasmanian Tiger is essentially a Dingo with a pouch which makes the Thylacine a marsupial. But the genetic breakdown of the Thylacine revealed that the animal was doomed to extinction with or without human hunting, and it also gives insight into the current plight of the Tasmanian Devil. The Tasmanian Devil, like the Thylacine, was isolated on Tasmania thousands of years ago. Due to this isolation, each animal is not genetically diverse. This makes them both susceptible to disease. 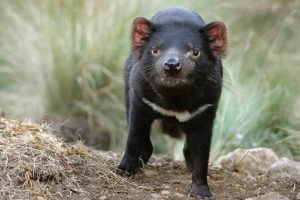 Disease helped wipe out the Tasmanian Tiger, and now disease threaten the Tasmanian Devil today. Image thanks to Tourism Tasmania & Nicholas Brandat. The Tasmanian Devil is susceptible to a contagious face cancer, and since the devils love to nip at each other while feeding and mating, the cancer has spread quickly. It has decimated 70% of the population and Tasmania is scrambling to save this endemic species. The genetic code found in the Thylacine just might help as it has provided a road map to the healthy genetic makeup of a close relative. The genetic mapping of the Thylacine is the first step in an attempt to bring back this majestic creature. Understanding its genetic deficiencies will help scientist revive this animal which would be headline-making news. Research is still a long way away from reviving the marsupial, but you may not need to wait at all. Reportedly, the Tasmanian Tiger is alive, well and roaming the temperate rainforests of Tasmania. You just need to know where to look. Does the Tassie Tiger Still Exist? There are those who contend that the marsupial is alive and well; it just knows how to hide. Some have even devoted their lives to proving the existence of these magical creatures. A trio of men calling themselves the Booth Richardson Tiger Team installed 14 cameras in the woods just 50 kilometres from the town of Maydena. The head of the trio had been trying to find the tiger for 26 years up to that point. He says they have captured video, audio and still photos of the creature. To add to the mystery, their evidence is a bit grainy and you'll have to squint to see what they claim are images of the mythical beast. But whether or not you believe the tiger still roams the wilds of Tasmania, the Thylacine has a storied history and its genetics may be the key to saving the future for other species. 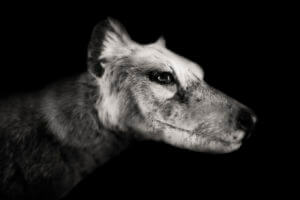 The last thylacine died at Beaumaris Zoo in 1936. Thylacines were wolf-like marsupial carnivores carrying their young ones in pouches like a kangaroo. A trio of men, Booth Richardson Tiger Team had been researching and trying to find a tiger for 26 years. Does the Tassy Tiger Still Exist? Situated in the mountains, this bed & breakfast is close to Home Hill Winery. Area attractions also include Pelverata Falls.